This upcoming weekend is the perfect time for sewing! If you are looking for a block to stitch that's cute, a bit improv AND gives back to the community, Bee Blessed is for you! Please head on over to Judith's and Sarah's posts to read more, but they are looking for Pippi blocks this month to alternate with the little heart blocks created in February. Isn't she cute? Even cuter with those little hearts. 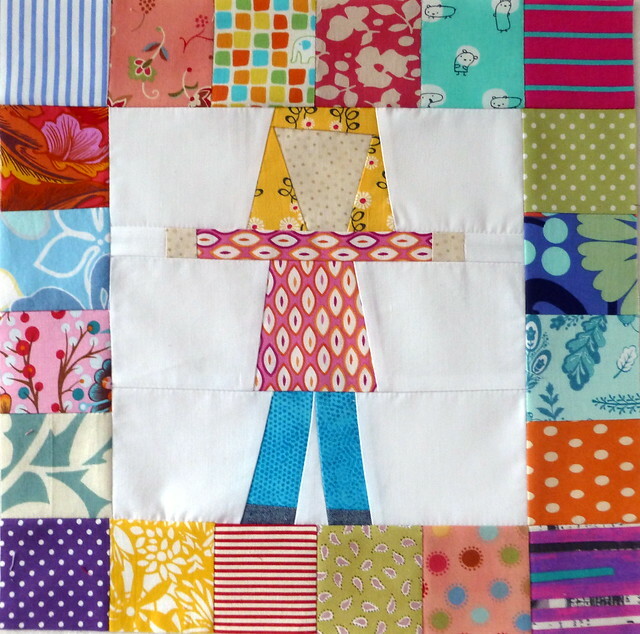 You can find the Pippi block tutorial here. They're a great laugh to piece - below is my last attempt at a Pippi block. I do not know why her legs are so thick and how they are both attached to the right of her body, but she was such fun to piece from my scrap bin. Give one a go!